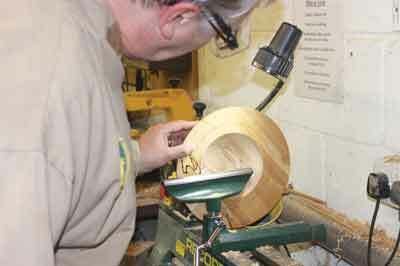 I have made offcentre bowls for many years. 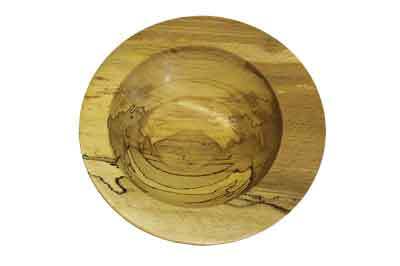 This design is just one of many variations that are possible by offsetting. 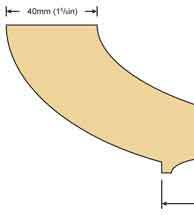 This design requires offsetting in one direction only and a small amount of offset, so is a good one to start with. 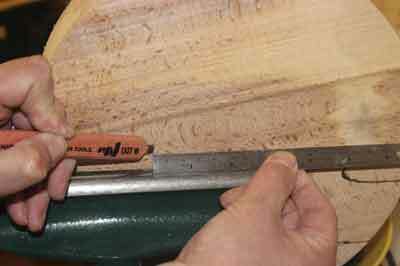 Think about offsetting at two points or more; this will require accurate marking out to maintain symmetry. 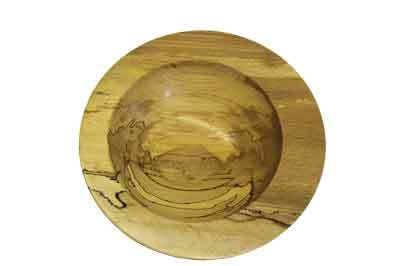 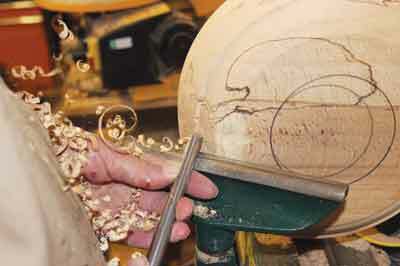 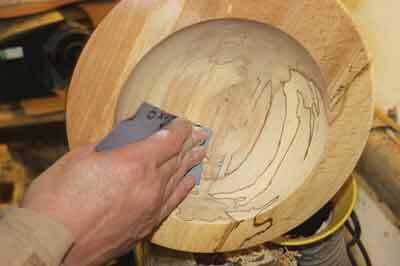 The possibilities are endless; it's down to imagination and the time you want to spend on making the bowl. 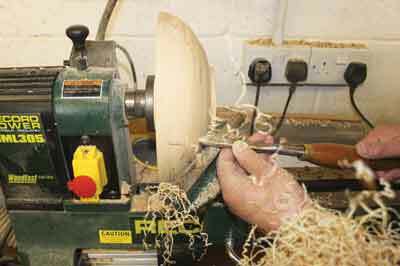 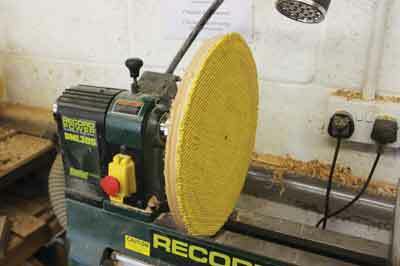 The size of bowl blank will depend on three factors: the swing over your lathe bed; the amount of offset - a 200mm bowl blank with an offset of 10mm dictates that the bowl is now equivalent to a bowl of 220mm diameter - and finally, the size and weight of your lathe. 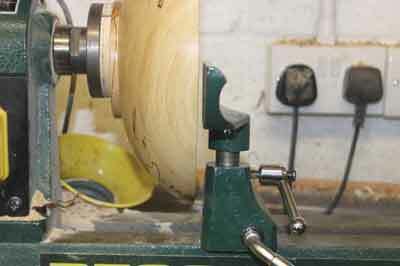 The bowl will be running out-of-balance part of the time, which will place extra strain on the lathe bearings and can cause the lathe to vibrate and rock if a high speed is used, so keep your speed slow when turning in offcentre mode. 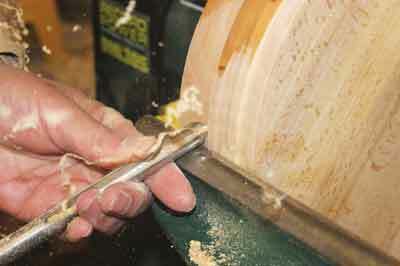 You should take a clean cut across the top face while it is running true; this will mean you don't have to work on the top while it's running offcentre. 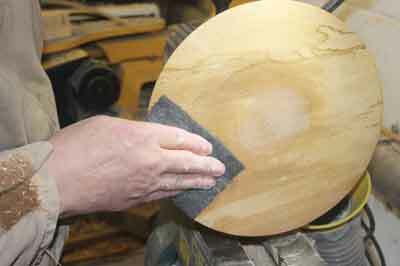 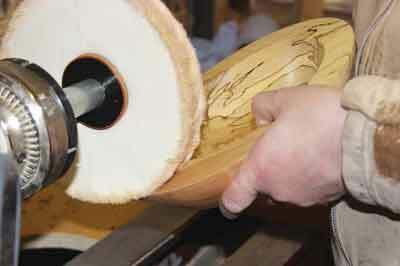 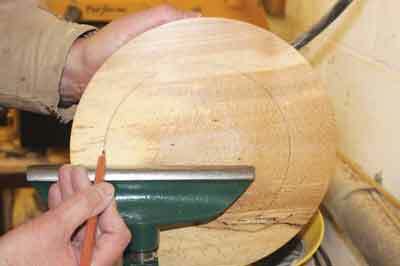 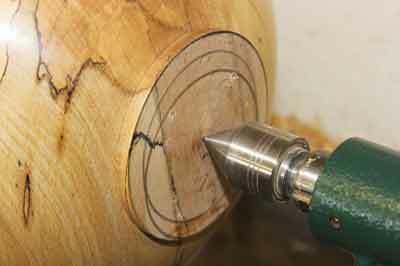 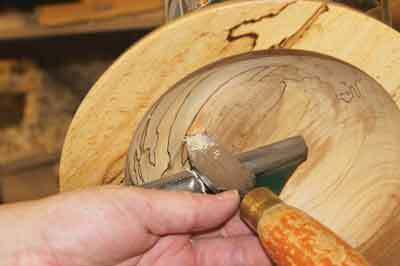 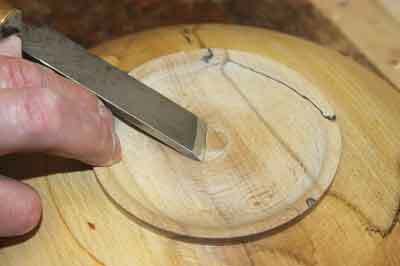 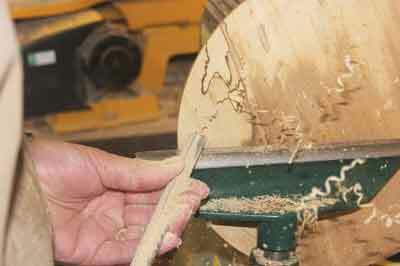 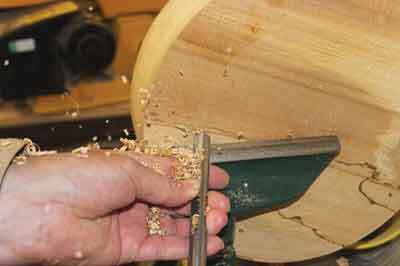 Start with a small offset for your first offcentre bowl and then increase the amount of offset for further bowls. 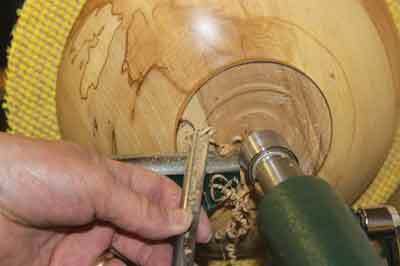 There are ways to overcome the out-of-balance problem using counter weights on the opposite side to the offset; this will bring the bowl blank back into balance. 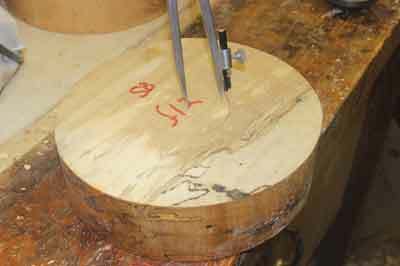 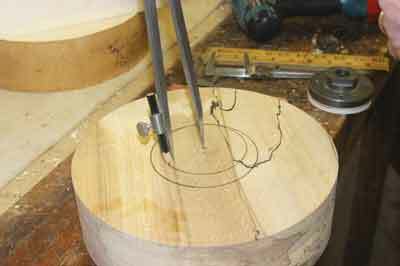 I am using a faceplate on this piece as it is easier to move centres than to turn two spigots and hold in a chuck. 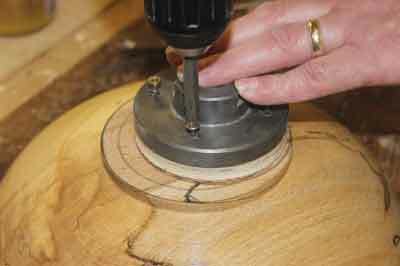 Imagine turning on five centres using spigots. 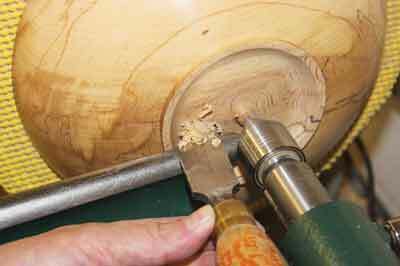 Make sure the screws are holding the faceplate firm and are the correct length: too long and you will lose more timber when turning the base away to remove the screw holes; too short and you run the risk of the piece coming loose and detaching from the faceplate. 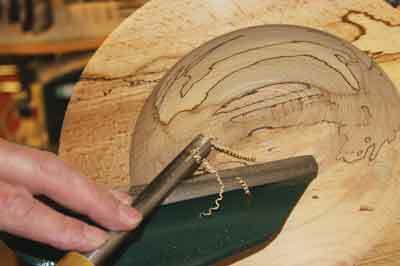 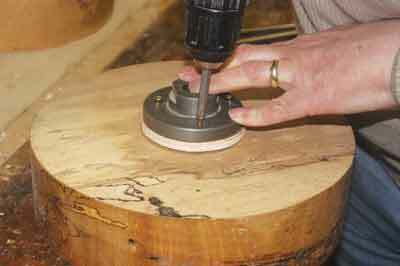 I used spalted beech (Fagus sylvatica) here and the finish used is sanding sealant and wax. 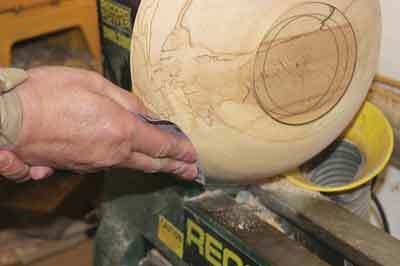 This piece is not too figured as I feel this would distract from the form. 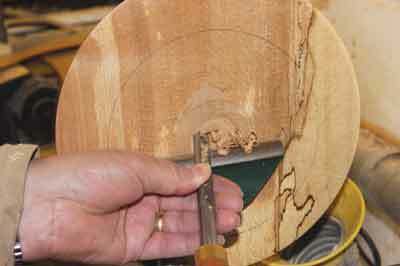 Check for any splits or faults - as with any turning you have to think about centrifugal force.